Co-operators Announce New Consolidated Office Plans in #Guelph! Guelph, Ontario, July 17, 2017 – The Co-operators and the City of Guelph announce plans for the national co-operative insurance and financial services organization to build a state-of-the art facility in 2023, situated in the city’s south end. In anticipation of the expiration of its leases at 130 Macdonell Street, 98 Macdonell Street and 649 Scottsdale Drive, The Co-operators worked closely with the City of Guelph to explore relocation and real estate options within the local community that would meet the company’s immediate and future needs. Through this collaborative effort, a location has been identified in the city’s south end that will become a new state-of-the-art hub for the organization and enable the company to remain in the community that has supported it for half a century. Plans for what is anticipated to be a new Leadership in Energy and Environmental Design (LEED) Gold Certified development include wellness-based features that support healthy living and reflect The Co-operators strong commitment to sustainability and employee well-being. 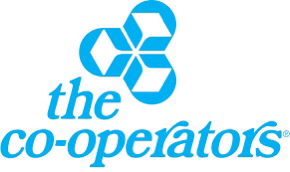 The Co-operators Group Limited is a Canadian-owned co-operative with more than $44.9 billion in assets under administration. Through its group of companies it offers home, auto, life, group, travel, commercial and farm insurance, as well as investment products. The Co-operators is well known for its community involvement and its commitment to sustainability. The Co-operators is listed among the Best Employers in Canada by Aon; has been among the top ten Corporate Knights’ Best 50 Corporate Citizens in Canada for the past eight years; and rated as a Top 50 Socially Responsible Corporations in Canada by Sustainalytics and Maclean’s magazine. Guelph is a growing, diverse and vibrant community of more than 130,000 people, located about 100 kilometres west of Toronto, Ontario, Canada. Guelph’s community partners and business leaders are making a difference locally and globally in agri-food, technology, environmental enterprise and advanced manufacturing industries. The city’s healthy local economy, thriving arts and culture scene, charming neighbourhoods, parks and green spaces make Guelph among the most livable cities in Canada. I’m very pleased The Co-operators are staying in Guelph. The south end will be a good location, but I can’t help being disappointed they are moving from several locations downtown to a new location in the suburbs. I was really hoping that the Co-operators being the good citizens that they are, would be the corporate solution to the Baker Street Parking lot. They could have been the private sector development that would have enabled the building of the Library, a parking garage, and a park area badly needed by the downtown. The Baker Street parking lot has to be the most valuable piece of property available in Guelph. It is totally wasted in its current state. The City receives no taxes from it, minimal remuneration from parking and it is the ugliest part of the downtown. I’m hoping the City did it’s utmost to try and attract Co-operators to stay in the downtown and solve the Baker Street mess. It’s great news that the Co-operators are staying in Guelph and the decision on location has to be theirs. It does seem like an opportunity was lost to fix up the downtown. I don’t know if there is another strong corporate entity out there as significant as the Co-operators. This may be an opportunity missed on the same scale as the old Windham St. Post Office debacle. Congratulations Coop, we’ve been a long time customer. It’s too bad this feels like another kick in the you know what for us forgotten east enders.